The first six months of my career as a patrol officer in Houston have flown by. Once I graduated from the police academy I experienced different phases of training. Three weeks on each shift, days, evenings, and nights. I rode with a veteran officer who showed me the ropes. Once I finished my training period I proceeded to an evaluation phase. I rode with an evaluator who watched how I handled scenes, executed decisions and followed procedures. I enjoyed riding with all my trainers and evaluators. Each of them have their own way of policing and they each brought something different to the table. With each of them being unique, I was able to find the qualities I liked and instill them into my own style of policing. 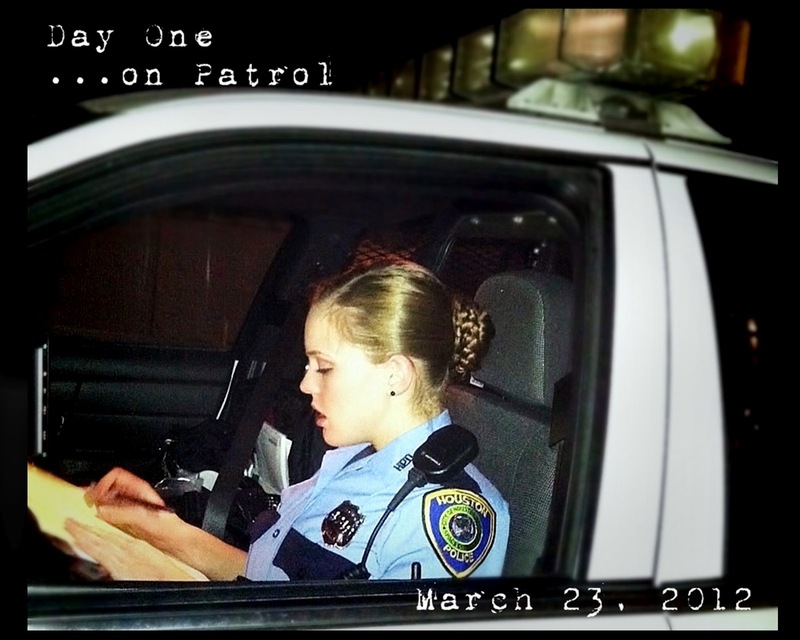 Once I finished my training and passed evaluation, I had the opportunity to patrol with other officers at the station. I truly believe this is a career where you never stop learning. Every call for service is different and has its own set of challenges. As of March 21, 2012, I am no longer considered a “rookie.” As a rookie police officer I was required to ride with another officer. Now that I am no longer a rookie, I will be riding by myself. As much as I loved riding with a partner, I am beyond excited to be patrolling Houston on my own and in my own patrol car. My first night by myself was on March 23, 2012. Veteran officers used to always tell me that you will never forget your first call by yourself. I was so nervous knowing that my first night alone was coming up. Once it arrived and I put the key in the ignition, I could feel my nerves calm. I was definitely more excited than nervous. Everyone wants their first call to be something exciting so we can tell the story for years to come; my first call was a minor accident. I was not dispatched to the call but because the accident was in my assigned beat I asked dispatch to send it to me. It’s important to know the meaning of "beat integrity," which basically means that you take care of your beat to the best of your abilities. Towards the end of my shift I heard gun shots while sitting at a red light. The sound of the gun shots sounded like they were right next to me. They made my heart jump. I picked up the radio and let the dispatcher know my location and what had happened. I immediately drove to the vicinity of the sound. Before I knew it, half of the station was out there backing me up and looking for anything that could have helped figure out where the gun shots were coming from. I must admit, I had a minor adrenaline rush. The scenarios ran through my head. "What would I do if I found a person with a gun?" "What would I do if I found a person injured?" For each scenario, I realized I knew the answer. Everything I had learned in the academy and from my trainers had worked. Although nothing became of this call, I was ready and able to handle the situation if needed. 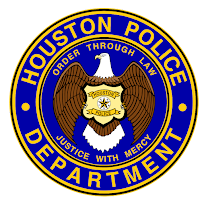 I am happy to be a part of this HPD family and even happier to know I have many years left to serve and protect to the best of my ability. I would like to personally thank each of my supervisors, trainers and every officer I have had the opportunity to ride with, because each of them taught me something different. Thank you for answering all my questions and leading me in the right direction. In a few days, my academy class (210) will pick our patrol assignments and it looks like I may be headed to another station. I am sure I will learn even more once I get there. I'm going to miss everyone at my current station because in the last six months I've made some great friends. I am so happy I've made it this far and am excited knowing how much further I have to go. Cool story, thanks for the update. I would love to hear about the other three. Smith, Williamson and Mark. Being called “rookie” is mostly relative to your tenure versus the other officer. 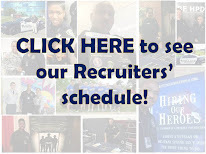 With over 20 years at HPD, there is still a 40+ years Senior Police Officer that still calls me a rookie today – I guess in his eyes, I still am. Never stop learning, have fun and STAY SAFE!